The Stove DoctorTM strives for your safety first. We make the unknowns into knowns. Many times customers have said at the end of a simple product safety inspection, (whether the outcome was no problems found, or something major to correct) “now I know and I feel better”. Jim Beck, owner/operator of The Stove DoctorTM - was once asked by Bill Filly, the owner of Prairie Road Automotive, what service we offer. Jim thought about it and replied, we give peace of mind. That is the focus of our company. 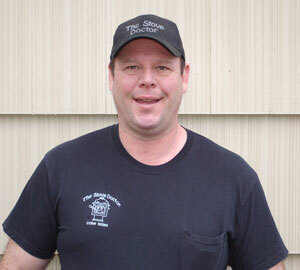 The Stove DoctorTM is family owned and operated. Not part of a huge corporation where you are a number, not a name. We have several customers that have been with us since our beginning. 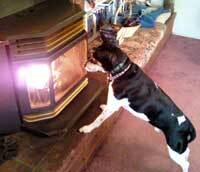 We are honored to service their heating appliance every year. Our customers are very loyal, as we are also very committed to their continued safety and satisfaction. The Stove DoctorTM has been structured around customer service, and we are well known for it. 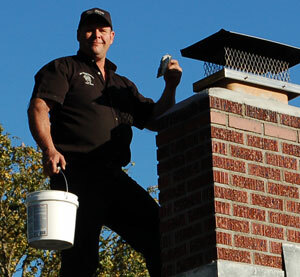 Whether you need a quick piece of technical advise over the phone, a chimney inspection or have a complicated problem that no one else has been able to help with - The Stove DoctorTM will do our very BEST to take care of you. The Stove DoctorTM has several specific techniques and specialized equipment that have been developed to keep your heat source in good working order. We stock lots of parts to avoid second trips and keep the cold time to a minimum for you. Lots of our business is centered around proper maintainence. Not only do we offer professional cleaning services for your pellet, wood, or gas stove, we strive to educate you on anything you can do yourself to make your appliance work better. We do not sell stoves directly, but have good working relationships with most all of the stove retailers in the area and are happy to be involved in helping you decide which appliance will work best for your specific needs. If you need the product installed, you will find two things from us. 1: we are rarely the low price leader. We do not cut corners and are keenly aware of the need for safe, secure installs. We price reasonably, and work very hard to do the job right. 2: Once you have purchased your stove, and hired us, you can relax. We will take it from there. We handle obtaining permits, performing a pre-site at your location to address any specific details or questions you may have before the install, we pick up the stove from your dealer and handle the install start to finish. The one thing we always want to know: How may we help you?